Sipping your way through Oregon Wine Country in the fall months? Not only is autumn one of the most beautiful times of year, it’s also one of the most family-friendly times to visit. 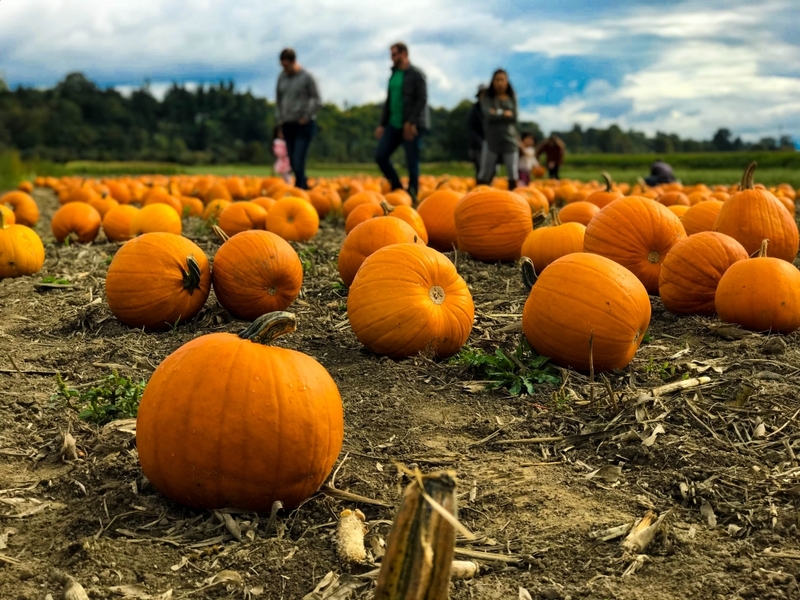 Farms all over the Willamette Valley will be celebrating harvests and Halloween; from massive pumpkin patches, spooky haunted houses, and apple cider donuts galore, there is not a shortage of fall activities in the Valley. Fir Point Farms in Aurora, OR holds an annual Harvest Festival each year, which features a six-acre pumpkin patch, Charlotte’s Web Corn Maze, and a 3,000 square foot Kids Zone for kids seven and under. The farm also features hay rides and a petting zoo - pair these activities with some of their fresh apple cider and it’s sure to be a fun-filled day! Bauman Farms in Gervais, OR has more than 25 activities for kids of all ages. The farm is transformed into an activity center with mazes, obstacle courses, rides, and tons of farm animals. Make sure to also stop at the Bauman Country Store on-site and pick up produce grown on the family farm. EZ Orchards market in Salem, OR transforms from a local farm-to-table store into a full-blown harvest fest each year. They have multiple activities for your family to choose from; hay rides, duck races, pedal tractors, ring toss, pony rides, a petting zoo, and a corn maze. They also feature live bluegrass music each Saturday and Sunday in October. Don’t forget to grab one of their many treats - caramel apples anyone? Airlie Hills Farms in Monmouth, OR is open only on weekends in October, but a must-stop nonetheless. Their unique corn maze varies in design year after year, from pumpkins to bees to eagles, it’s always a fun approach to the pumpkin patch classic. They also feature acres of pumpkins, a large outdoor hay maze, hay rides, and new this year - a bounce house. Detering Orchards in Harrisburg, OR kicks off October with their annual Apple Daze; similar to a harvest festival, they run an orchard-focused fall celebration. The fruit stand area is bursting with fall decorations, pumpkins, gourds, and an impressive selection of produce from both their farm and neighboring ones. Every weekend includes hay rides, apple cobbler with ice cream, Detering's own famous apple cider, a children's hay bale maze, and a kid-friendly sized pumpkin for every child who comes to visit us. Davis Family Farm in Corvallis, OR offers hay rides to their pumpkin patch every weekday from 3 p.m. to 6 p.m. and weekends from 9 a.m. to 6 p.m. Go on a hayride, solve their corn maze, and take part on kids' activities. You can buy pumpkins to carve or paint while you're there and of course, there's cider and donuts available too. Thistledown Farm in Junction City, OR is Lane County’s largest pumpkin patch. Sitting at 400-acres, the farm turns into a magical autumn-wonderland where you can take a horse-drawn wagon out to the patch to find the perfect-pumpkin. Afterward, head back to the barn for apple cider to take through the corn maze, hay maze, or to see one of the farm animals. Now the real question, who has the best apple cider donut?